Award-winning photographer Babak Tafreshi from The World At Night (TWAN) has been traveling the world to captures nightscapes in various locations. He has shared five beautiful timelapse videos of night sky landscapes “from locations that never been filmed like this before,” he said. The first video, “Lake of Fire at Night” shows the gorgeous view of the Milky Way above Lagoa do Fogo, a volcanic crater lake in the Sao Miguel island of Portugal, Azores, on the Atlantic Ocean. Here, travel to Mount Kilimanjaro and view it under the starry skies of Amboseli. 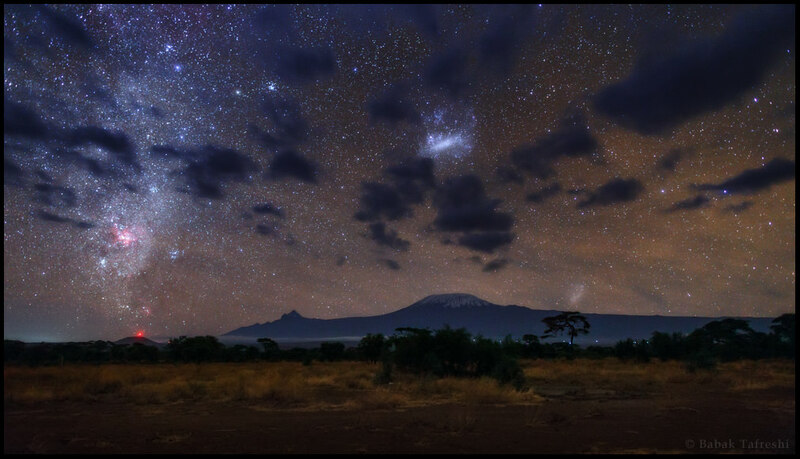 You’ll see the Magellanic Clouds and fast-passing satelites, along with African wildlife. See the stars above the roof of the world. Mt Everest and other Himalayan peaks in the World Heritage Sagarmatha National Park of Nepal appear in this nightscape timelapse clip. Santorini, Greece is lovely by day. And at night, the island is filled with lights, limiting the night sky view. But here you can see rare views of the starry sky above the island during a major blackout. The MAGIC telescopes, located near the mountain top of the Roque de los Muchachos on the Canary island of La Palma, are part of a highly sensitive gamma ray observatory, with giant 17 meter wide dishes. The multi-mirrored telescope pair observes gamma rays indirectly by detecting brief flashes of optical light, called Cherenkov light. See them here with the beautiful night sky above and clouds below. See more of Tafreshi’s videos on Vimeo and more photos and information at his website. Next PostNext What is Hooke’s Law?